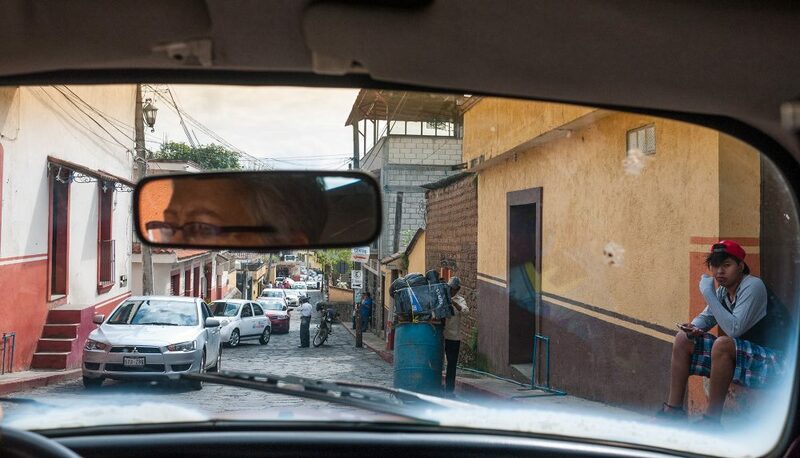 In the rearview mirror, Corrie’s eyes are watchful as she drives through the tight, stone paved streets of Tepoztlan on the way to the market. 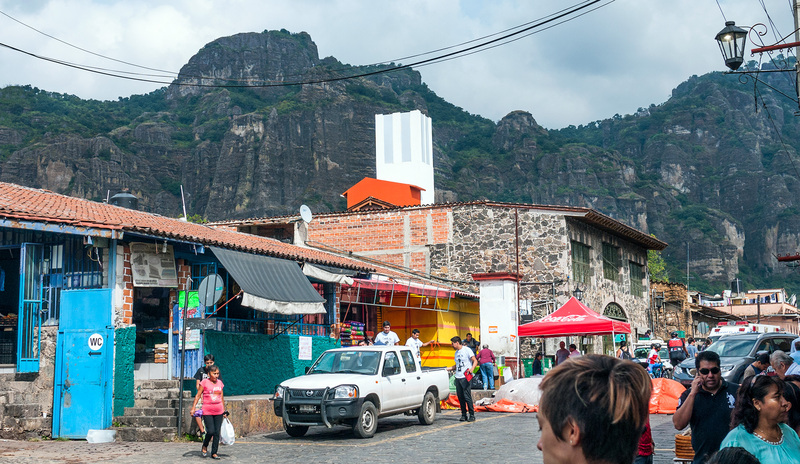 Tepoztlan is a small town of about 24,000 people nestled in a small green valley 1.5 hours south of Mexico City. The town is one of the federally designated “Pueblos Magicos“, a status it earned for its natural beauty, it is held as the birthplace of Quetzalcoatl. One of the main streets in the center of town that forms an edge to the market. 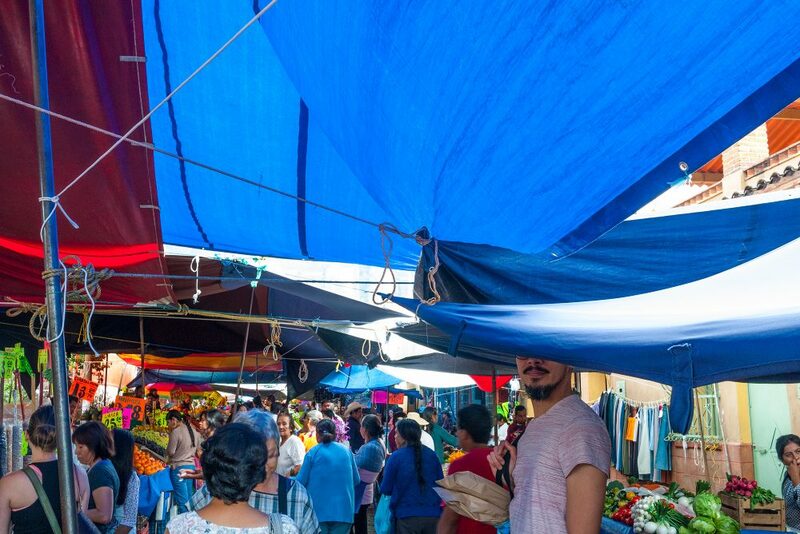 The yellow store in the center of Tepoztlan is Super Tepoz, a supermarket where we buy whatever we cannot in the market – bottled beer, excellent coffee, sparkling water, rice noodles, soy sauce, and the occasional jar of Hellman’s mayonnaise. 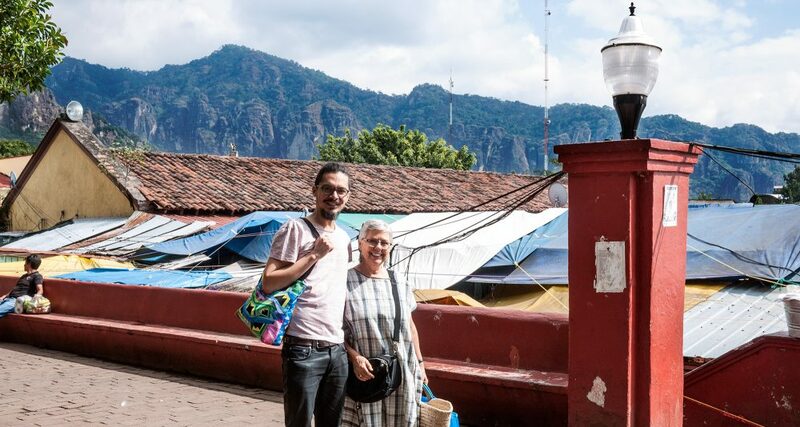 On the weekends the town fills up with day tourists from Mexico and surrounding areas, as well as those who own one of the many weekend retreat homes in Tepoztlan. 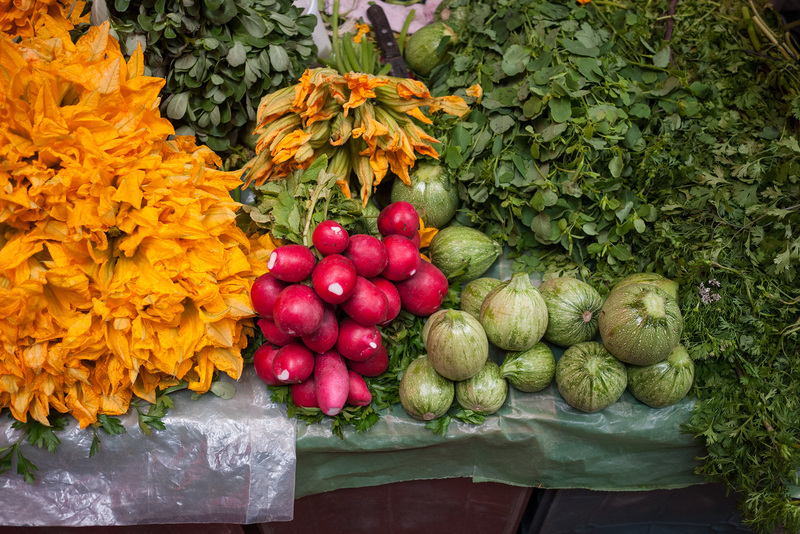 Many people come from surrounding villages and hill communities to sell everything from fruit and vegetables in season in their garden to manufactured goods. The weather in the town is a year long variation of late spring, never too cold or too hot, and usually sunny. 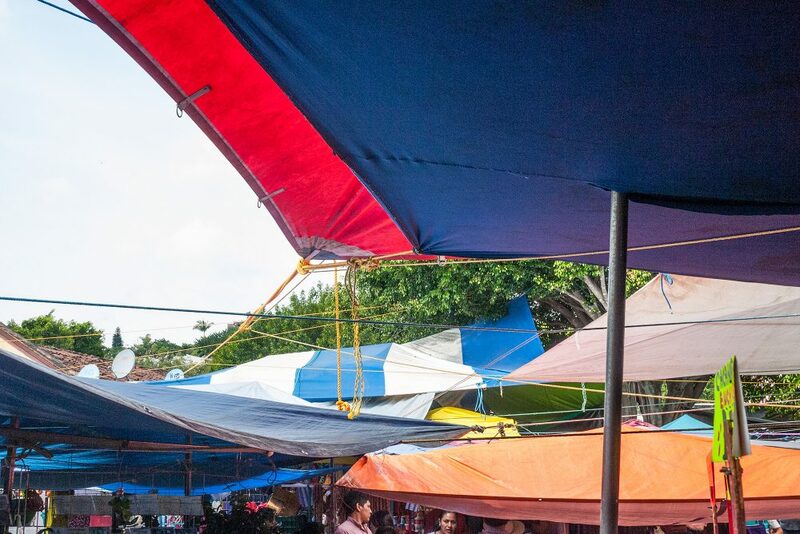 So the market stalls are all open, except for those shops which are in buildings along the perimeter and of course in all the adjoining streets, and many people without regular stalls simply pick a spot in one of the paved areas. 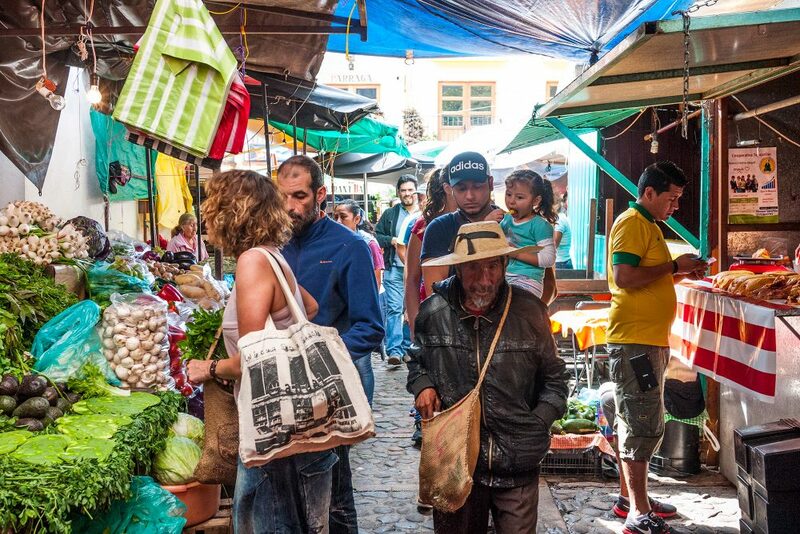 Informal walkways form in this way and the market is large and vibrant, especially on Wednesdays and Sundays. 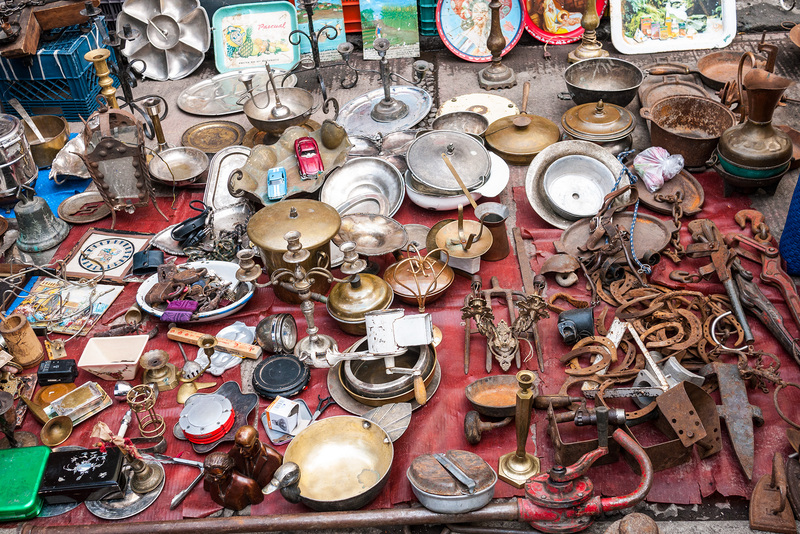 Mid-week there are more sellers of everything, and on Sunday even the adjoining streets are filled with stands selling food, drinks, clothes, housewares, crafts, flowers, and souvenirs. 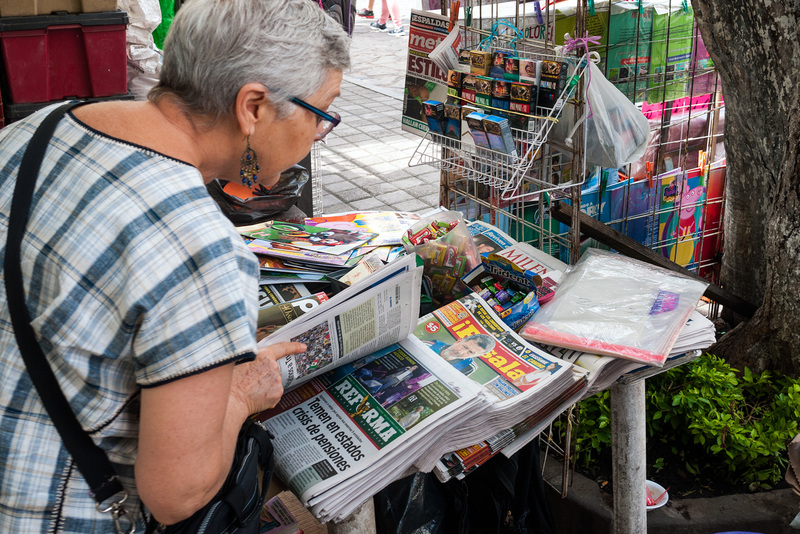 Corrie looking through the daily papers at the newsstand in one of the corners of the market. Marc and Corrie at the edge of the upper square, just before descending into the tarp covered section of the market in the zocalo behind them. And the Tepoztlan hills in the background. 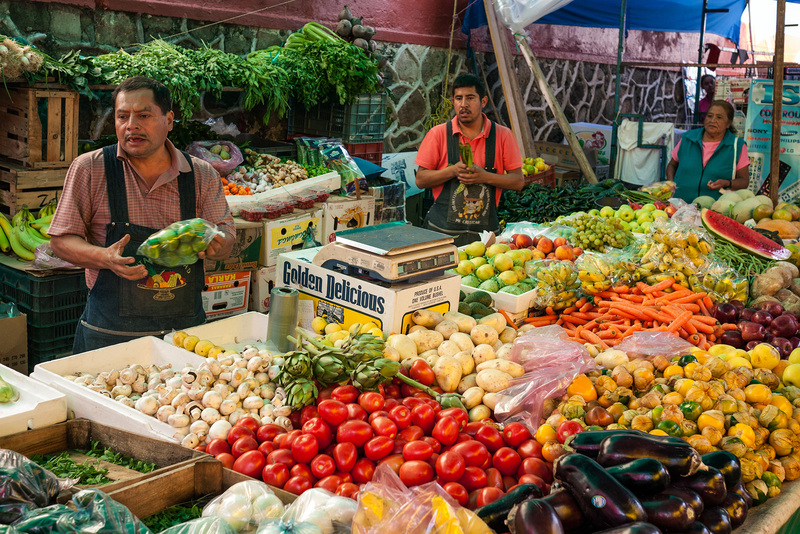 Vegetables on the left, meat on the right, and in between foreign and local tourists outnumber townspeople and visitors from adjoining local villages and hill communities. An overall view of a part of the market, an ordered chaos. Vegetables and fruit. 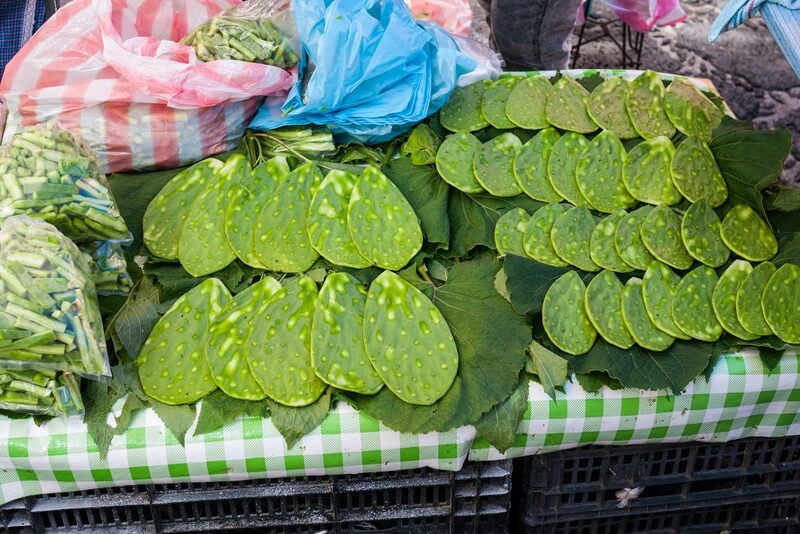 The flat green paddles are cactus leaves, already trimmed of spines. This stall also sells pre-cut vegetables assembled into soups and salads. 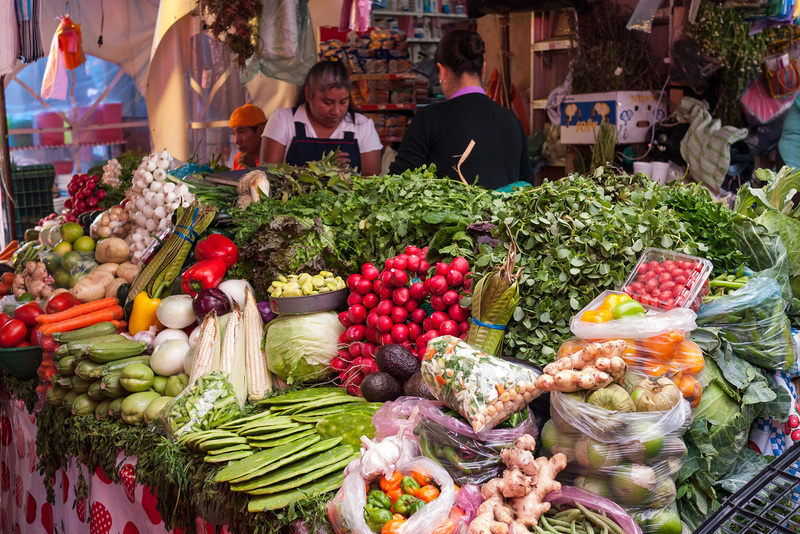 Workers hustle at one of the larger fruit and vegetable stands, picking out 5 peso or 10 peso, kilo or half- or quarter-kilo of greens and vegetables that are out of reach of customers. Itacates (the tirangular white and blue corn buns) and fillings for sale at a one of the many restaurant stands in the market. 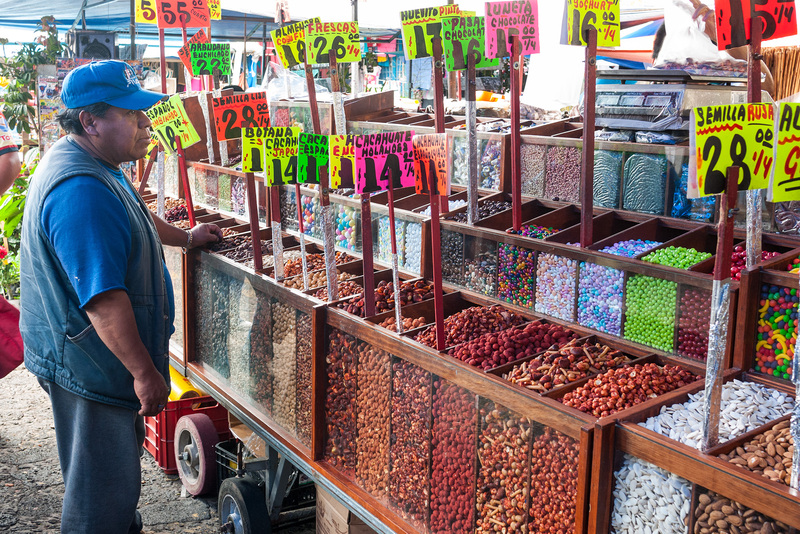 Especially on Sundays, when tourists come from Mexico City for the day, the market becomes an extensive food court of ancient, local, and fusion delicacies. 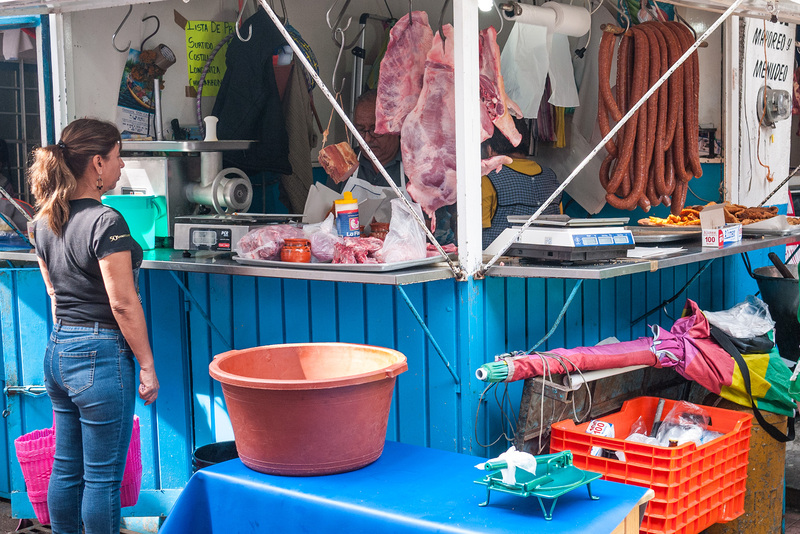 Tepoztlan is nowhere near a body of water so fish mongers are few. This stall sells fresh fish and, more importantly to us, they sell battered and fried fish sticks. You can see these piled up log-cabin style in the lower right corner of the photo. 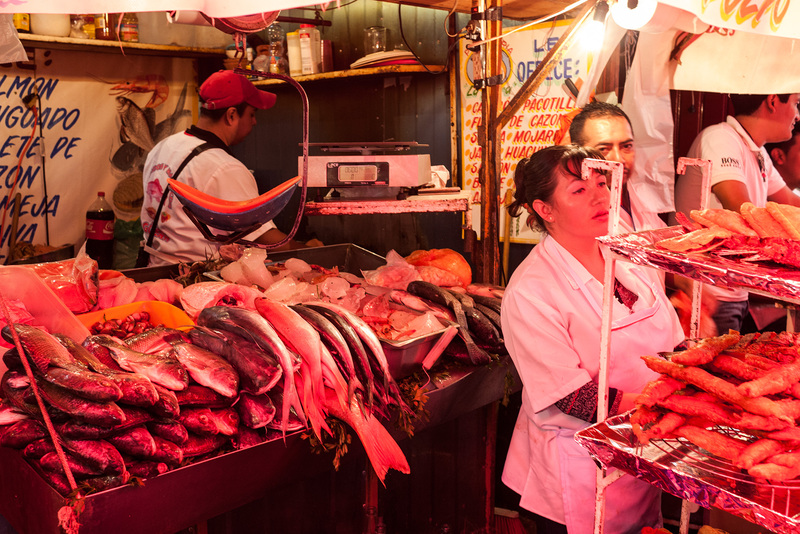 A red tarp over this stand provides the red light favored by fish mongers and butchers in the know the world over. Across from the fish stall, a tortilla stand. 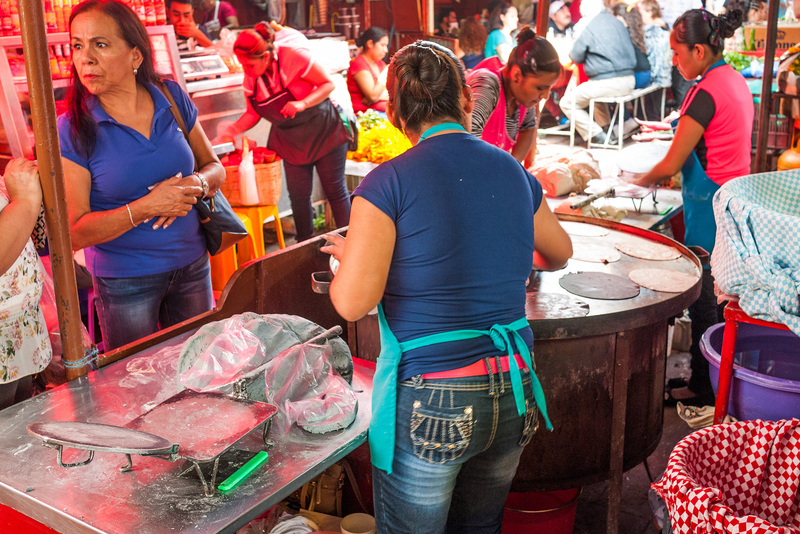 In the lower left corner is the tortilla press and to the right of the tortilla maker is the large, gas powered pan where the tortillas are cooked. The two woman in the upper right corner are also part of the same stand, together pressing, cooking, and flipping the tortillas on the giant pan. On the right edge of the photo you can see the cloth lined tubs that keep the tortillas warm. The price is 12 tortillas (“una docena”) for 10 pesos – about 70 cents Canadian, 50 cents American. 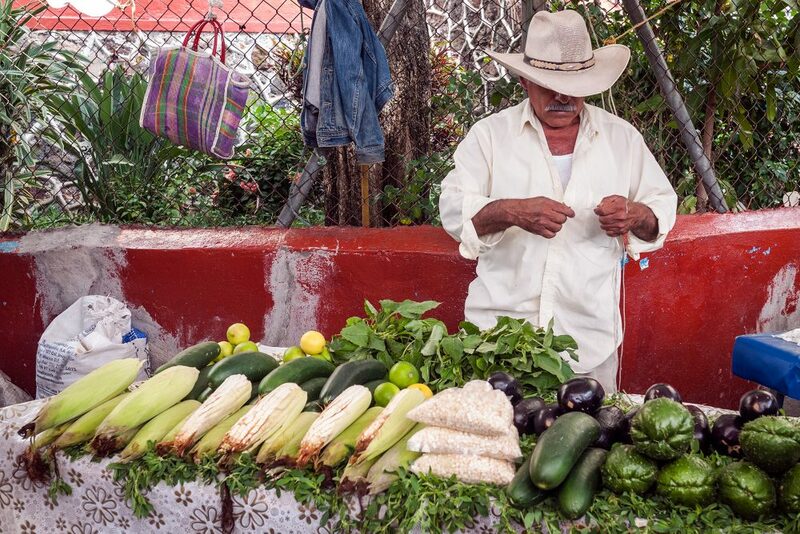 Fresh corn and vegetables and a cowboy hat on the seller. Shucking beans and selling corn and corn husks for tamales. 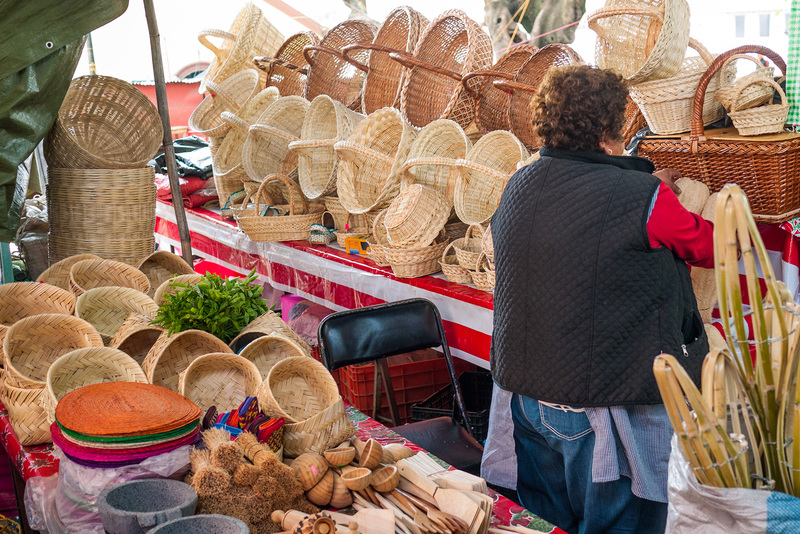 Baskets and other locally made items for the home such as bunched bamboo fiber pot scrubbers and bamboo torches. Baguette. Yes, baguette. Yes, it tastes as real as it looks, crunchy and chewy and amazing with any local cheese. A local man started up a western style bakery and this stand in the market is right across from the dairy stand. So occasionally we forsake the tortillas and get baguette and Dutch cheese instead. Simon from the dairy shop flirts with Corrie, a weekly ritual spanning decades. Simon has delicious Mexican cheeses, the ball of string cheese from Oaxaca and the edam-type cheese from Chihuahua provinces are standout. 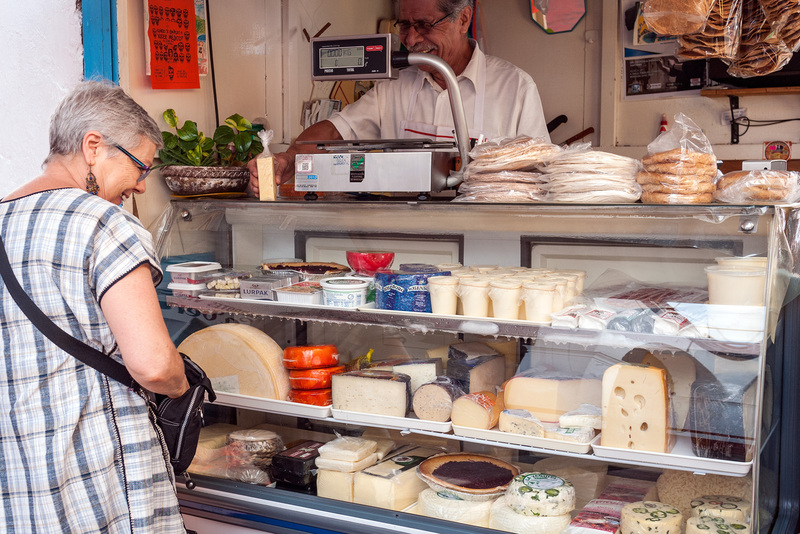 For cravings and variety there is also Greek feta and Dutch cheese. Oh, and home-baked granola. 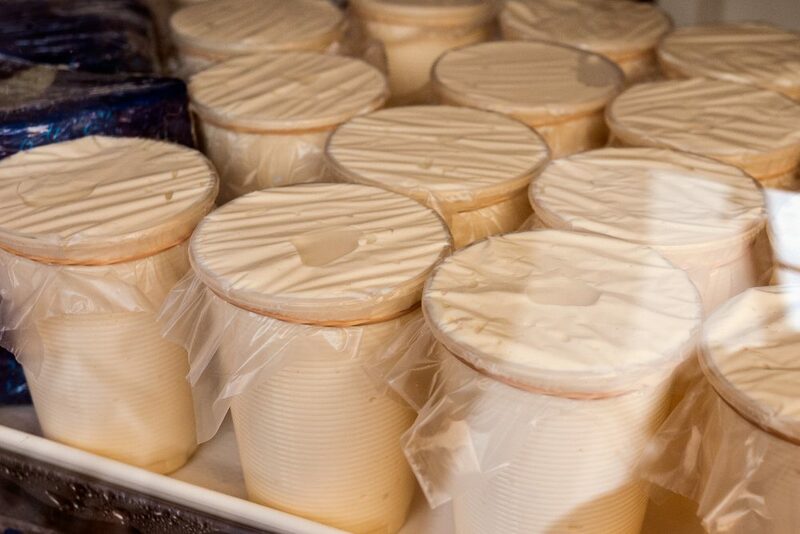 Simon also has the best cream in the world, that I have ever had the pleasure to cook with. It is the consistency of whipped butter and the same color because it is literally the heavy cream skimmed off the top of fresh milk. I’ve never seen cream this thick, rich, and flavorful, even when we lived in rural France. Absolutely delicious in a mushroom cream sauce, in a tomato salad, authentic ranch dressing, or as a rich dollop in coffee. Muy peligroso, we only buy it every couple of weeks. 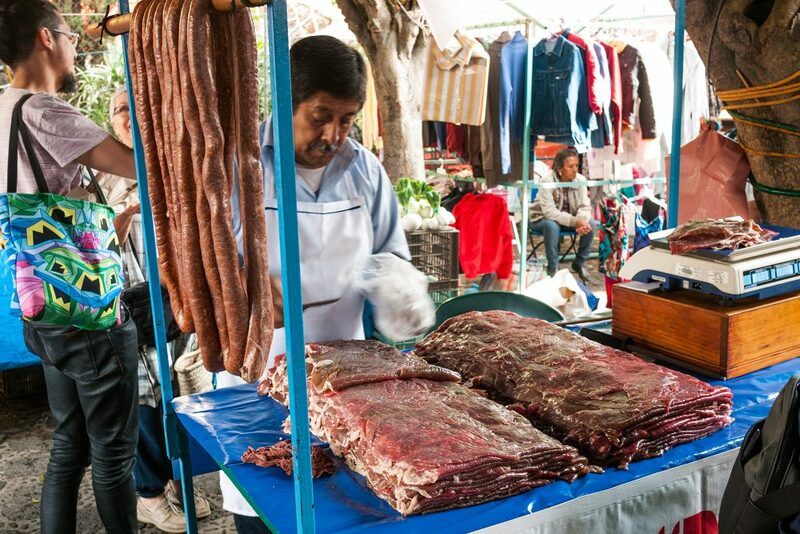 The sausage is “longaniza” and the beef is “cecina”. Pounded flat and presalted, this flavourful meat is used in all kinds of dishes. Marc in the back left with one of our Crystal King totes, waiting patiently with Corrie while photos are taken. 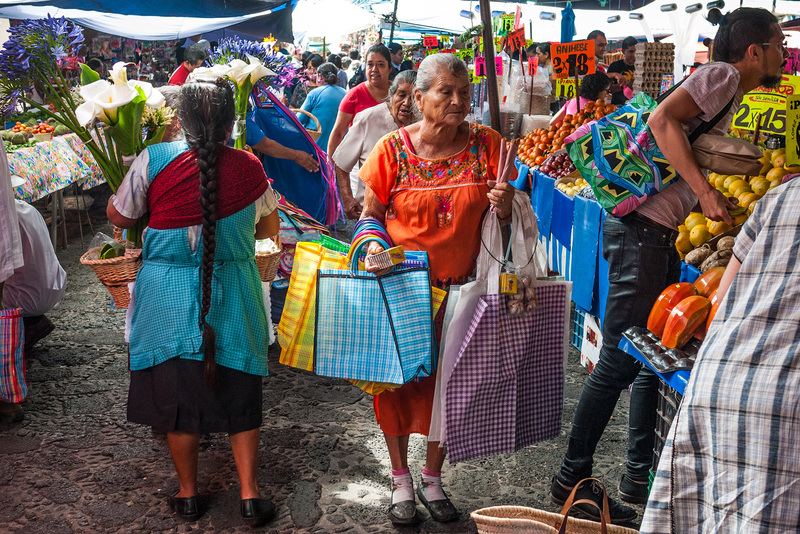 The lady in the orange huipil (traditional, usually homemade dress) is selling matches, woven nylon shopping bags, cinnamon, and sometimes other things. The lady on the left in the blue apron and long braid is selling flowers in season, cala lilies and agapanthus. Marc, on the right, is buying vegetables. 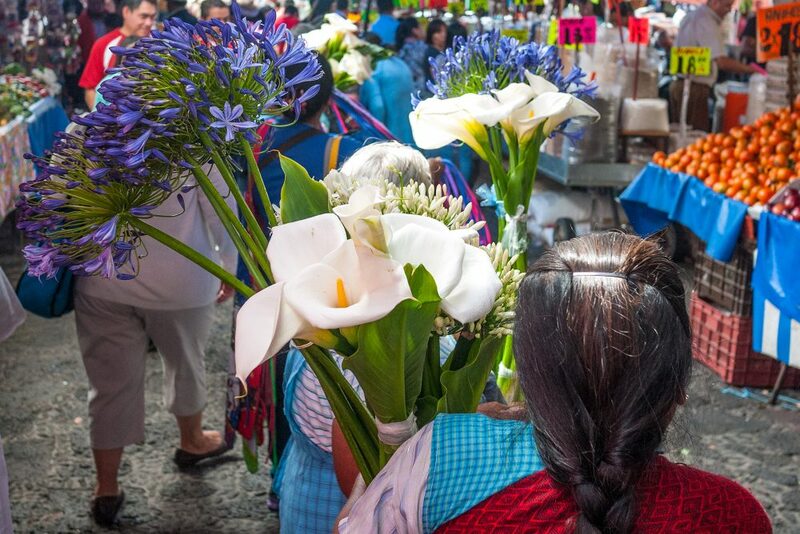 Two ladies selling white cala lilies and blue agapanthus blooms in the market. November is the end of the rainy season in Tepoztlan and the height of the flower season for many species in the area. Five agapanthus blooms, each one with a fresh bloom the size of a human head and a thick stalk measuring 3 feet or longer cost just 25 pesos, about CAN$1.70. Marc with his head in the tarps. We can usually find each other in the market pretty easily because we each are taller than most people. 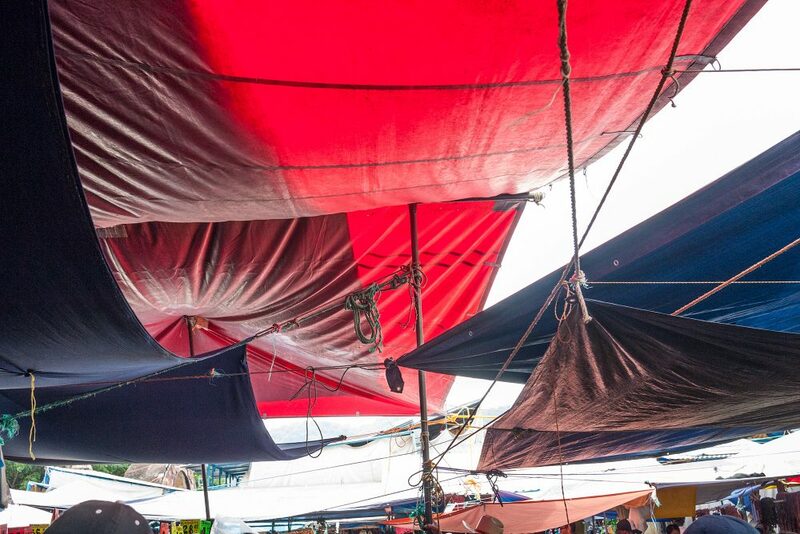 Overlapping tarps cover the entirety of the market, keeping out rain and scorching sun. 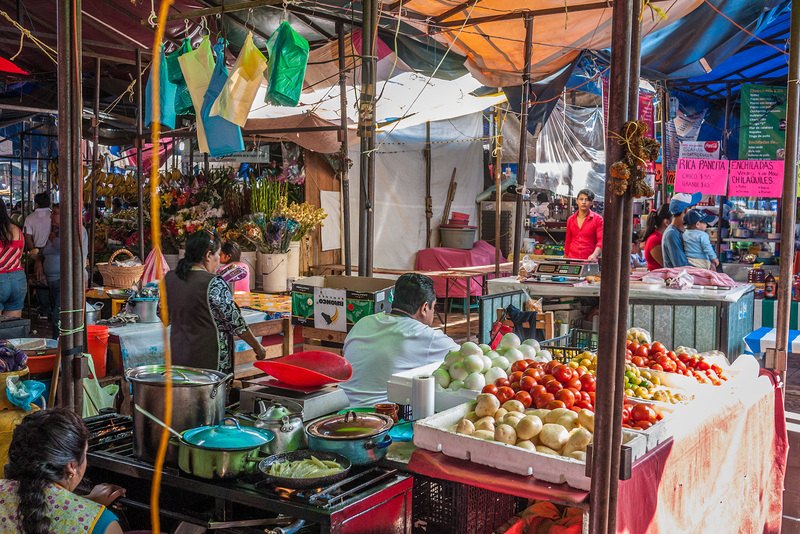 The light is often tinted red, yellow, or blue, and hard shadows and piercing beams of light provide dramatic light to the market. 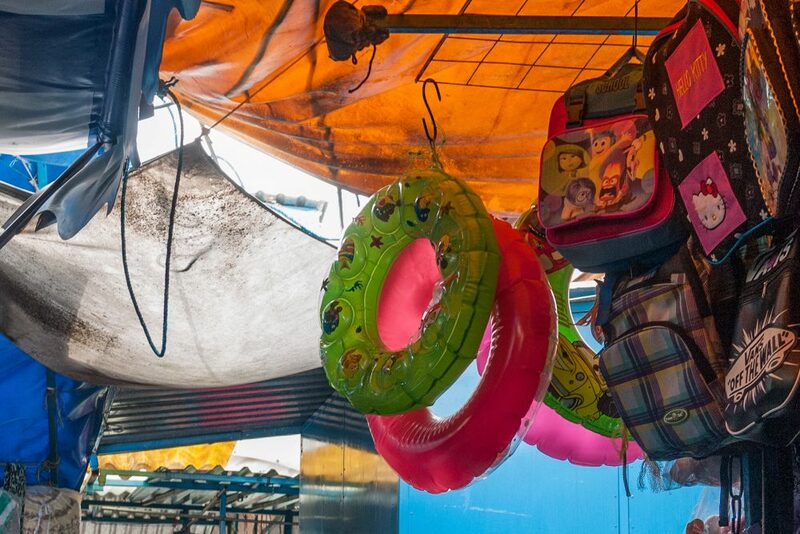 Swim rings and school bags hang high in the tarp area of the market. 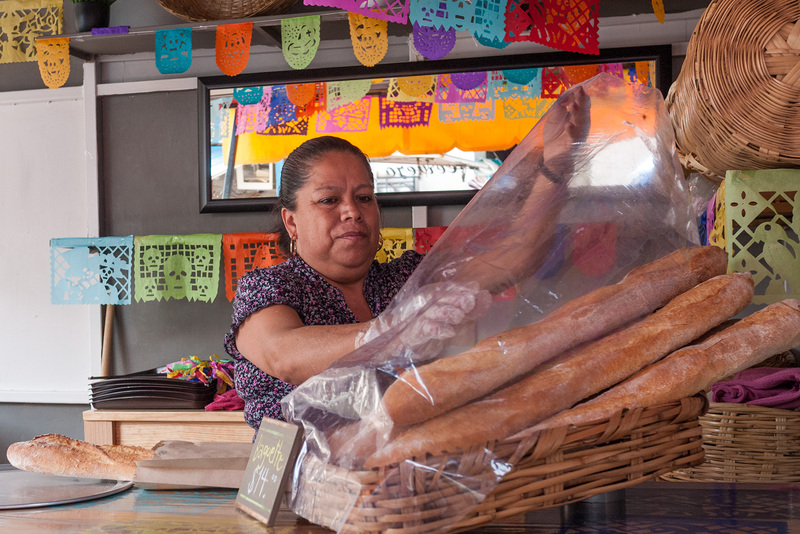 Our daily market visits are focused on the food stands, but the market has many other sellers, too, especially on Wednesdays and Sundays. 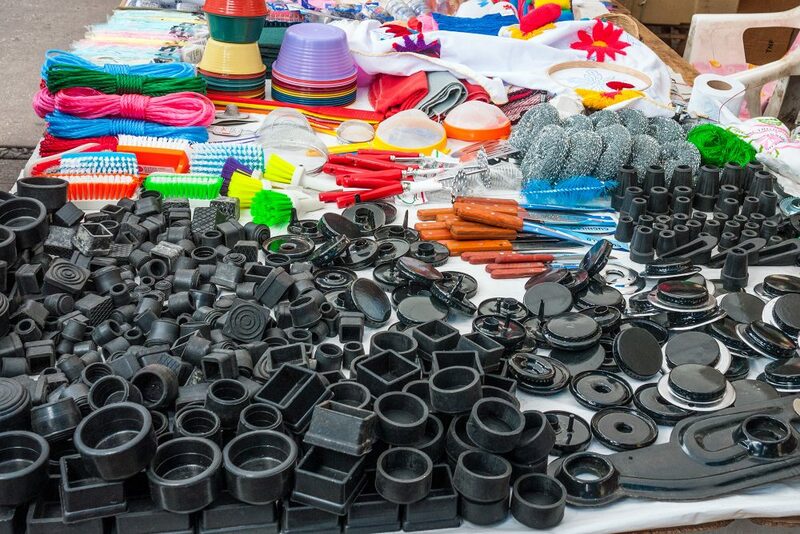 Here, black rubber furniture leg caps are piled up next to other black rubber items as well as colurful plastic kitchenware, nylon rope, knives, and other items. 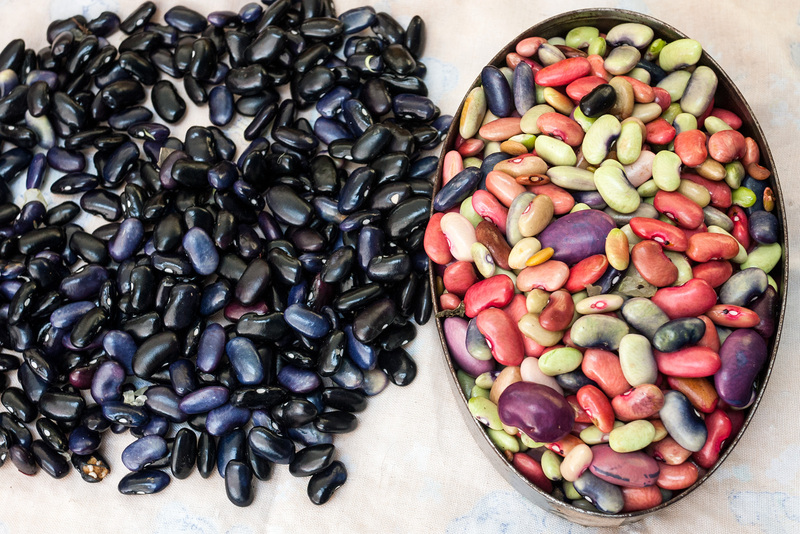 Black beans, colorful beans. 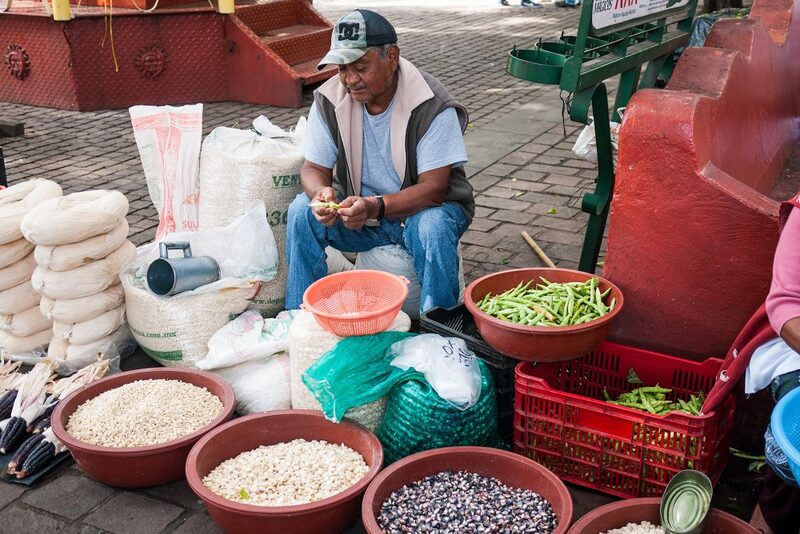 Beans, rice, corn, and peanuts are sold by the container in the market, measured out with a can, cup, or small wooden box. 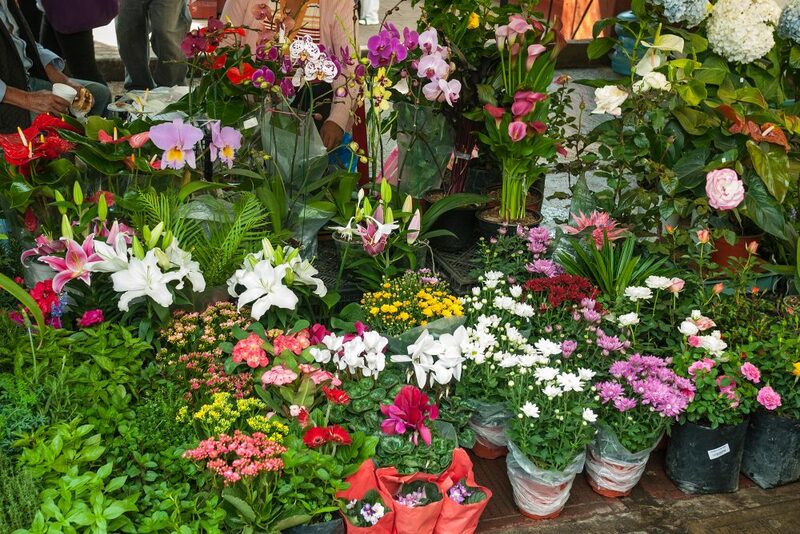 Gardens are big business in Mexico and the variety of plants sold at this small stand in the market in Tepoztlan is only a hint at the variety and quality of plants available for purchase. 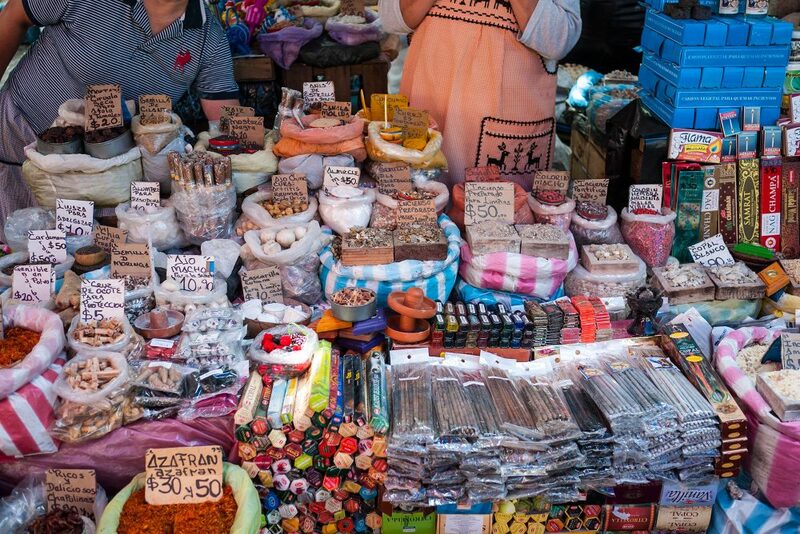 One of the stands focusing on spices and incense. It is possible to buy the incense on a stick, but more commonly chunks of resin are burned on little braziers heated with a coal. Myrrh and other resin smoke keep away the mosquitos and provide a heady, church-memories laded atmosphere to our evenings. 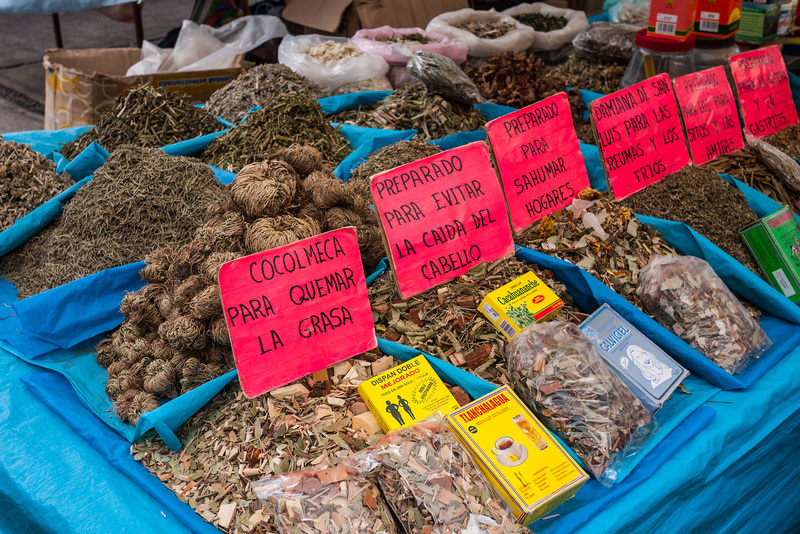 Herbal remedies, herbs and spices. This photo shows about a quarter of the bulk food stall that is only open on the busier market days of Wednesday and Sunday. 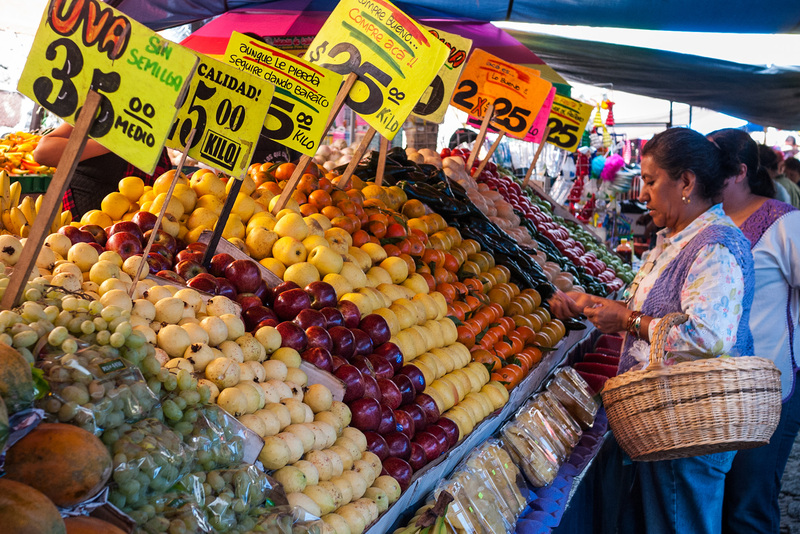 Sellers in the market sell produce very local to the area, or imported from all over Mexico, and also produce, especially fruit, from California and other parts of the USA. Prices reflect this, and for us fruits like papaya and avocado have long replaced apples as a staple. 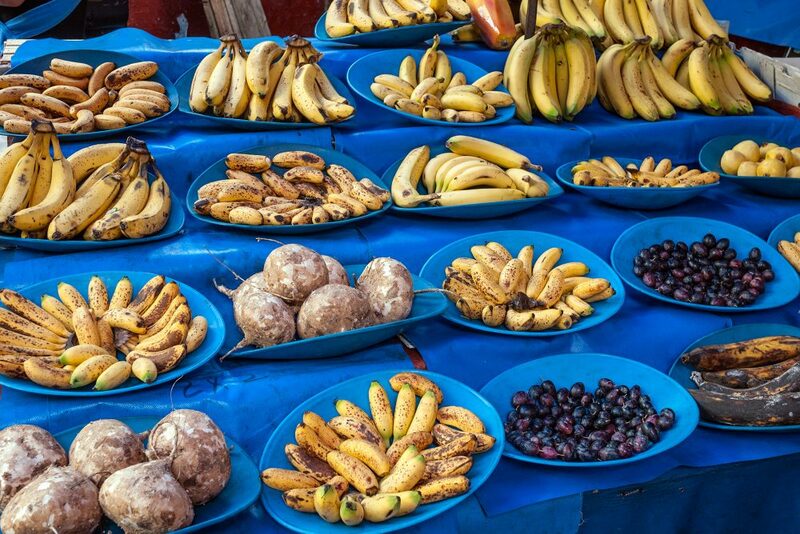 This seller has arranged yellow fruit on blue baskets and shelves to catch the buyer’s eye. This is one side of the seller’s corner stall – the other side has fruits and vegetables of all the other colours, too. 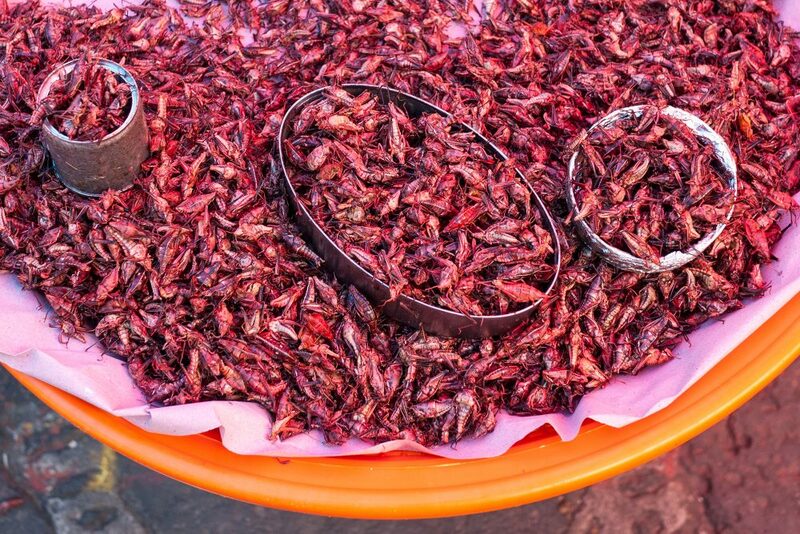 Chapulines, a type of cricket, is in season the whole wet season. Fried up with salt, lime, and chilis it make a high protein, chewy and crispy snack that goes nicely with a beer on a sunny day. 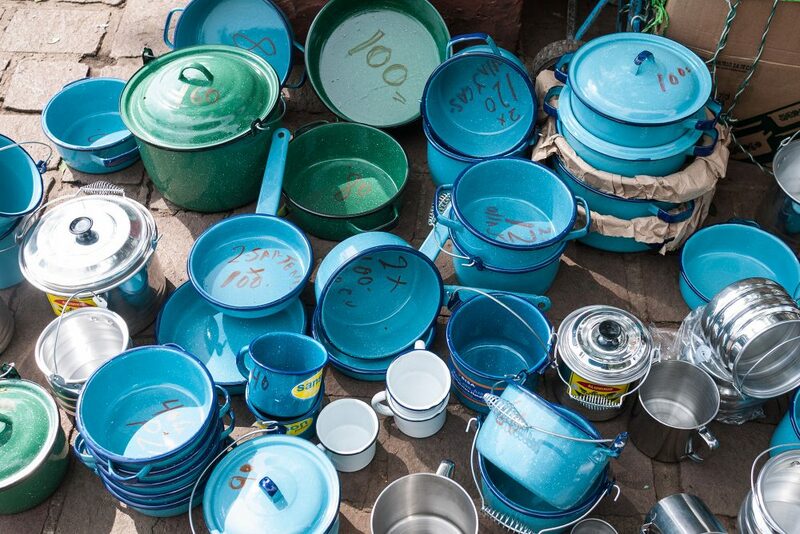 Blue and green enamel pots. Cactus is called “nopal”. These have already been trimmed of spines and imperfections, and on the left you can even buy the cactus precut. Smaller leaves are more tender. The cooked cactus tastes a bit like a combination of string beans and ochra, but all its own. Cactus is a superfood and often found in the mix of various dishes. Fried onion, beans, and cactus is a simple and delicious tortilla filling. 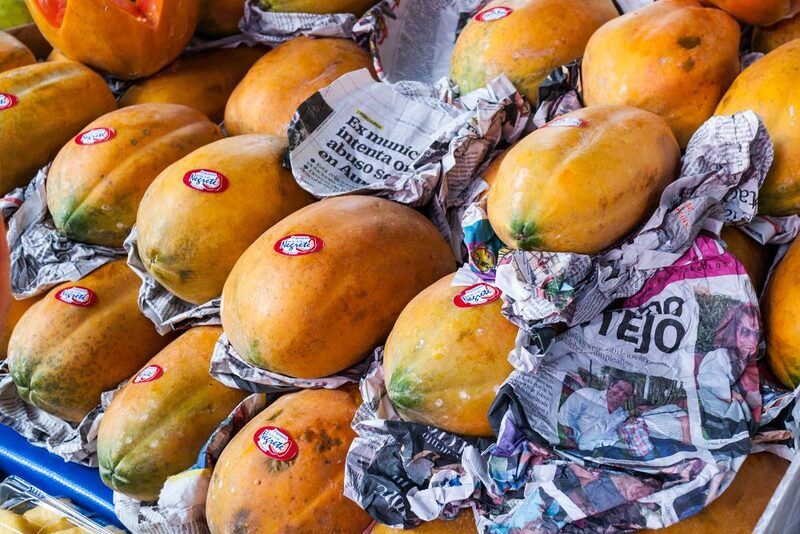 Papayas wrapped in newspaper. This fruit has become one of our staples, always gloriously ripe and fresh, slices or chunks or whole halves of papaya eaten with a spoon accompany or form the entirety of at least one meal every day. Tepoztlan is in the mountains so hiking shoes are a must. 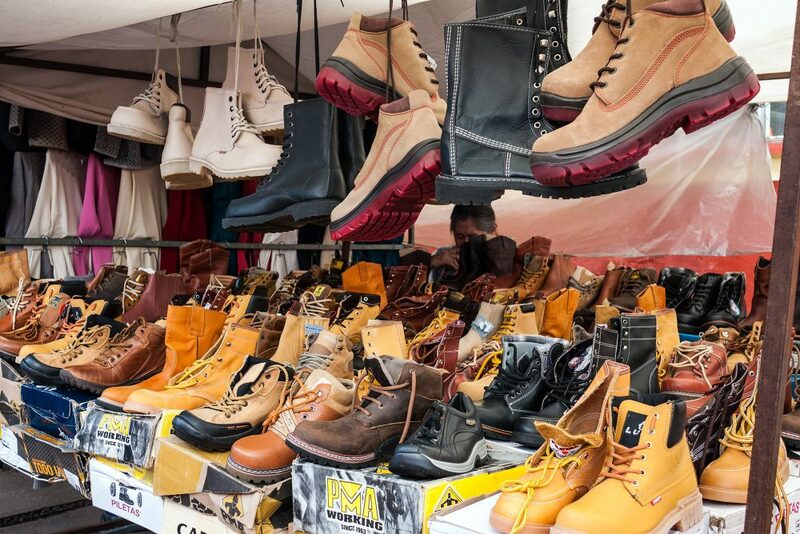 Whether a local or tourist, there is a choice of every style and price point. Metal stuffs stand, Tepoztlan, Mexico. 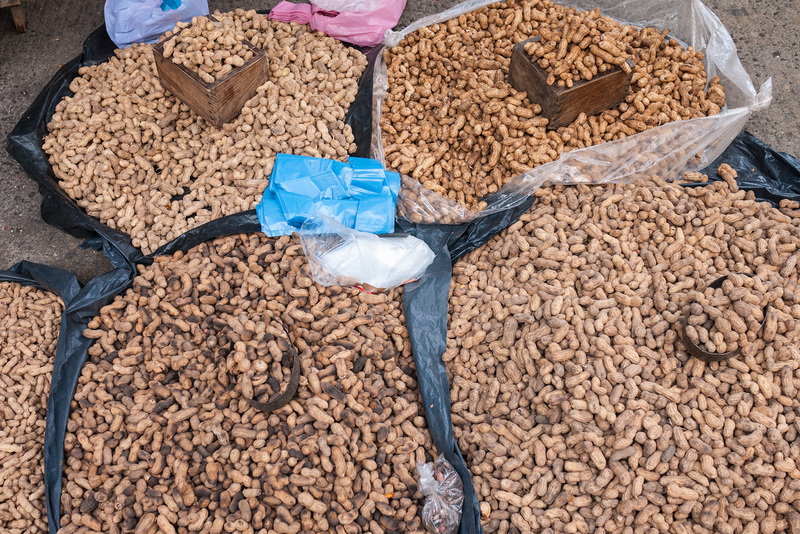 Peanuts toasted to varying degrees rest in piles on the ground and are for sale by the container measure. 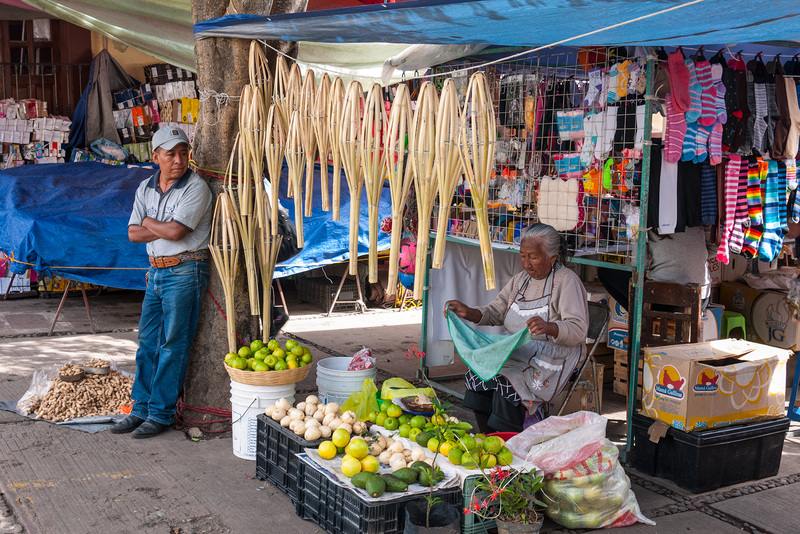 Sellers without a formal stall put their wares out in the market, here selling bamboo torches, and peanuts and fruit in season locally. In the back, sausages and meat. 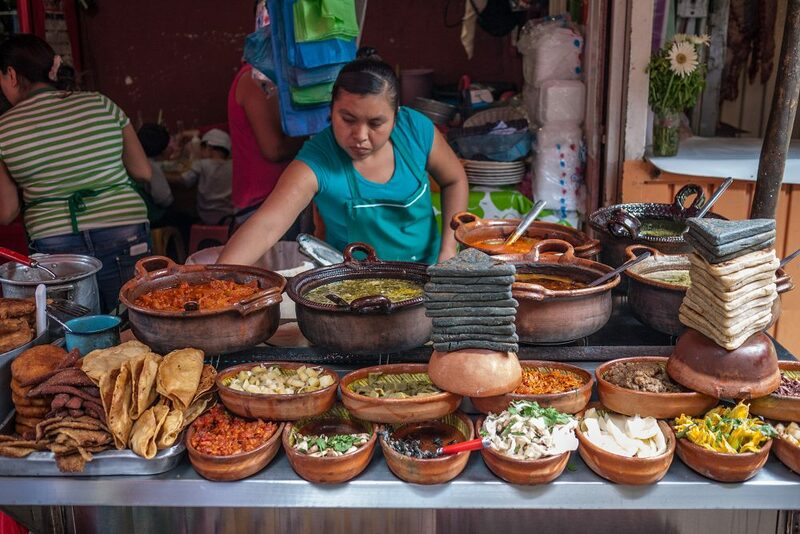 In front, a tub of corn dough and a blue press signal the possibility of pan-fresh tortillas. Extensive review. Thank you as I am going for the first time this Wednesday!